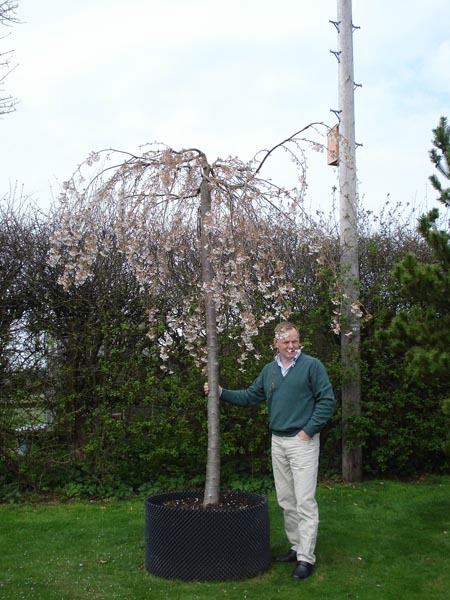 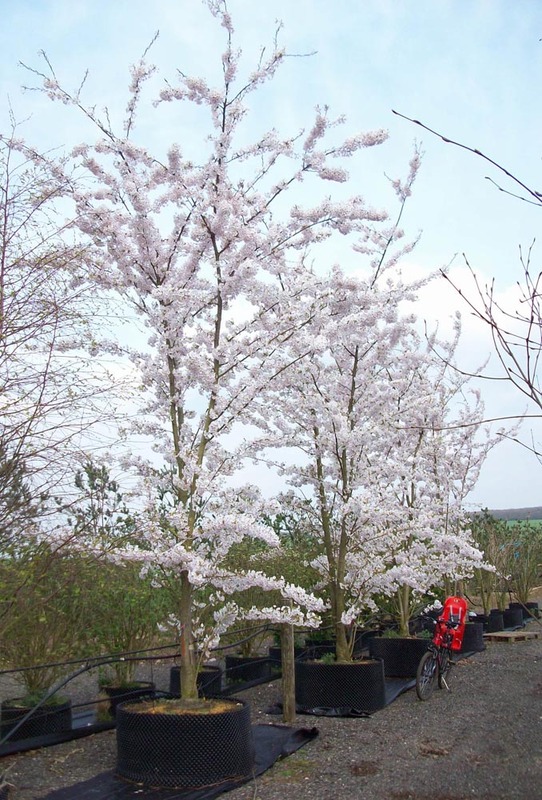 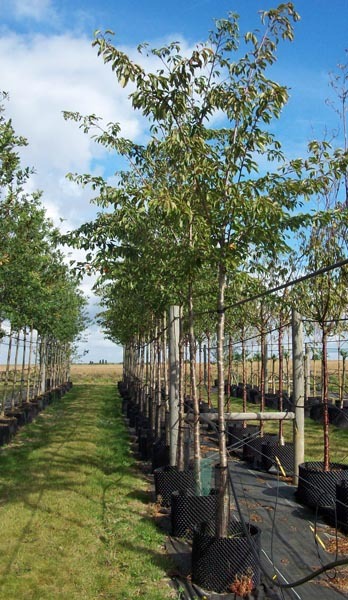 Prunus yedoensis originated in Japan and is a large shrub / small tree of up to 12m tall. It is one of the most planted cherries in Japan and is found in profusion around the Japanese capital Tokyo. 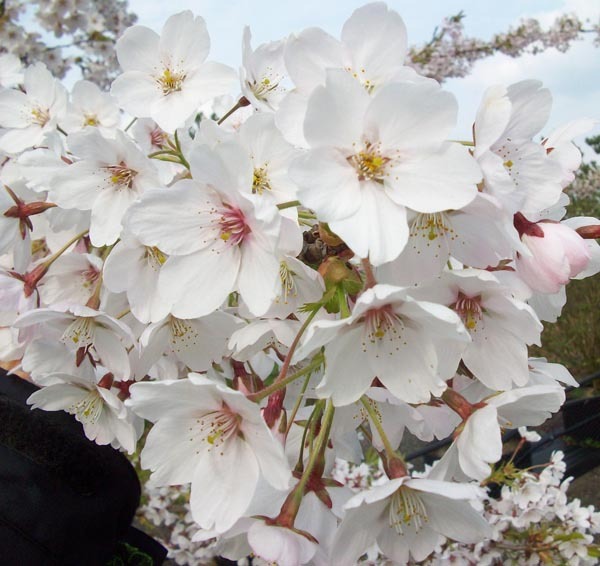 With upright, spreading branches pink buds emerge and from these the single blush white flowers of between 3 and 5cm wide folllow before the foliage in the spring. They hang in clusters of 5 or 6 and have a subtle almond fragrance. 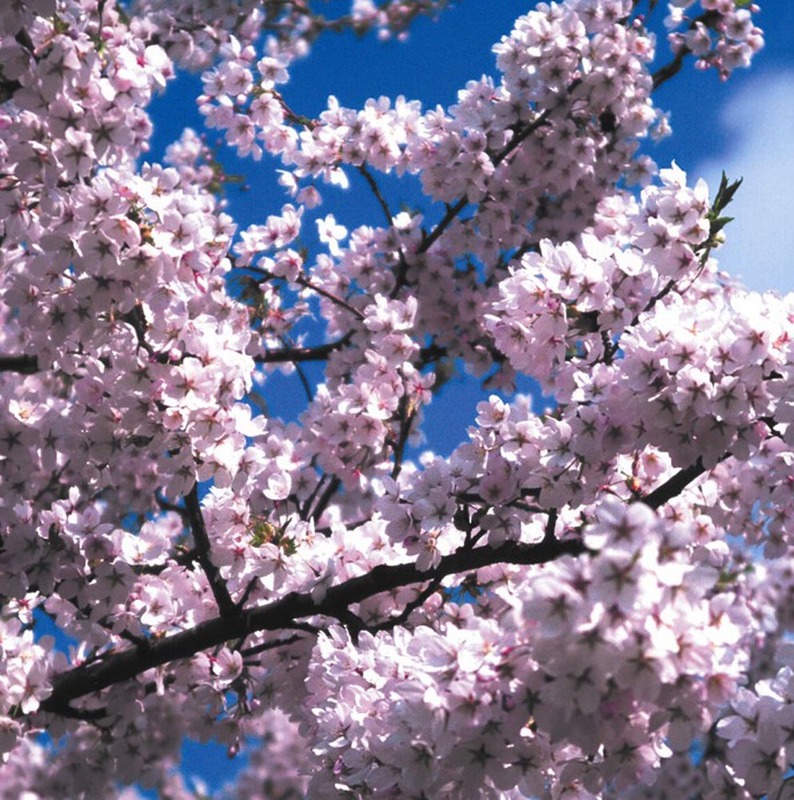 The leaves emerge a coppery colour towards the end of the flowers which create a beautiful contrast to the shiny, black fruits. They are serrated on the margins and deep green in colour turning to red-orange in Autumn.